Welcome to Whispers Affordable Beach Condos of Treasure Island. The Most Unique Vacation Home in the Tropics! Choose the vacation home that suits you. Nominated twice for the "White Glove Award" for excellence. 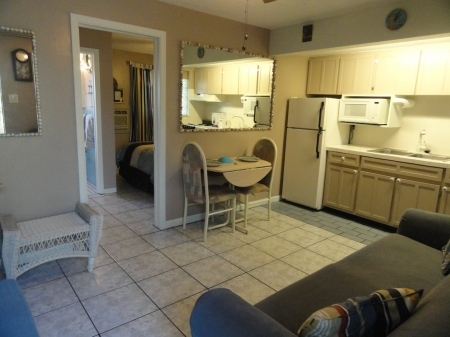 You will be swept away by the unique charm of Affordable Beach Condo. Condominium has a unique and different themed decor. 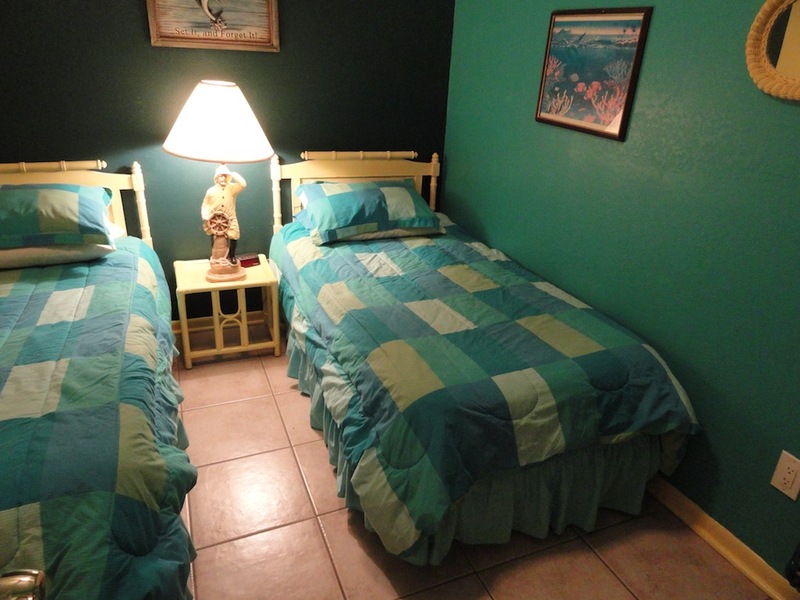 There is a Two bedroom condominium - the Florida Suite. 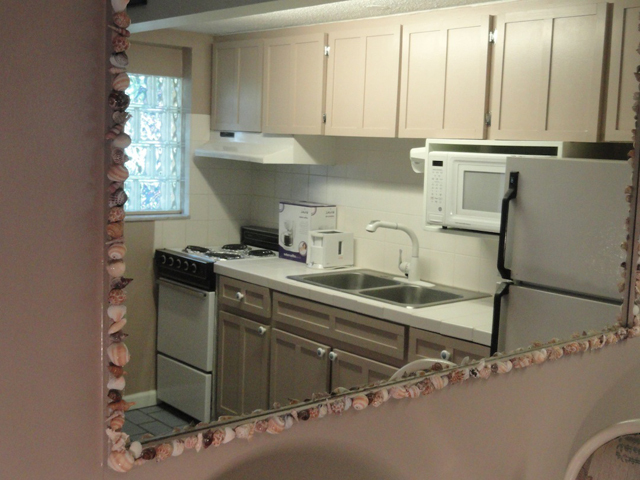 All have full kitchens and are fully stocked with linens, towels and, dinnerware. You will never stay in a hotel again! 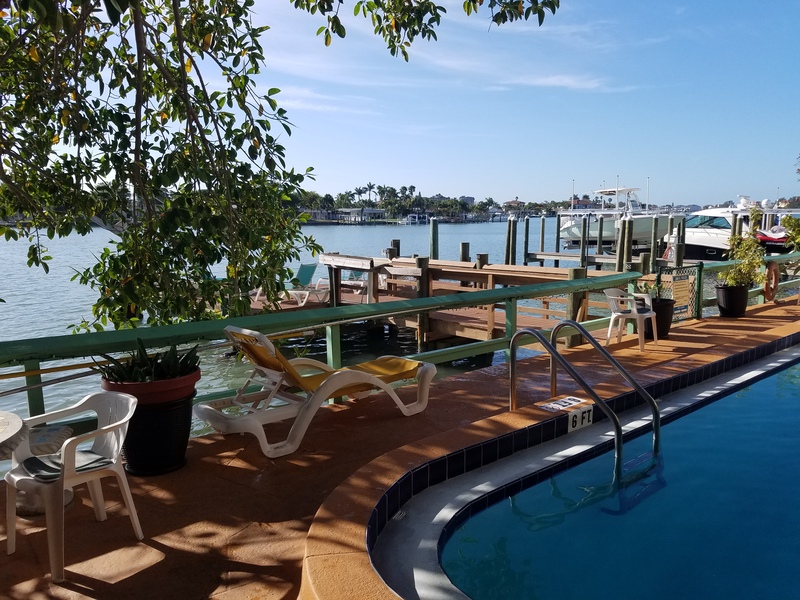 Affordable Beach Condo - our island retreat pampers you with a fully equipped condominium with all the linens, cookware, full kitchen and all the mod cons and with no stairs anywhere. 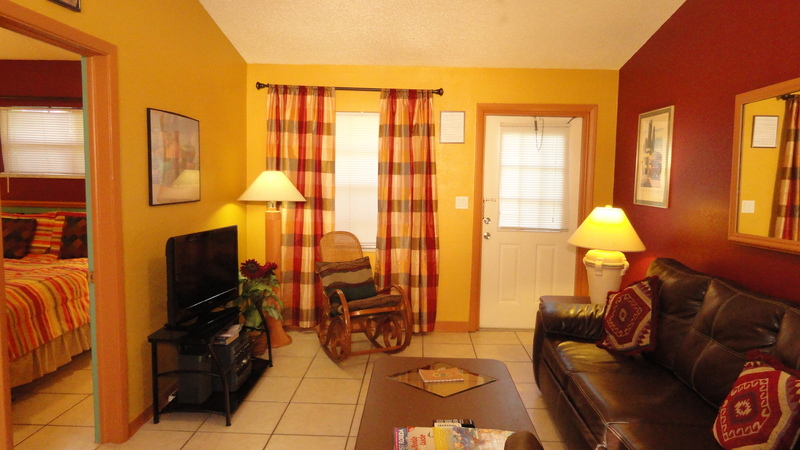 There is space and facilities that you will appreciate with your own home away from home. 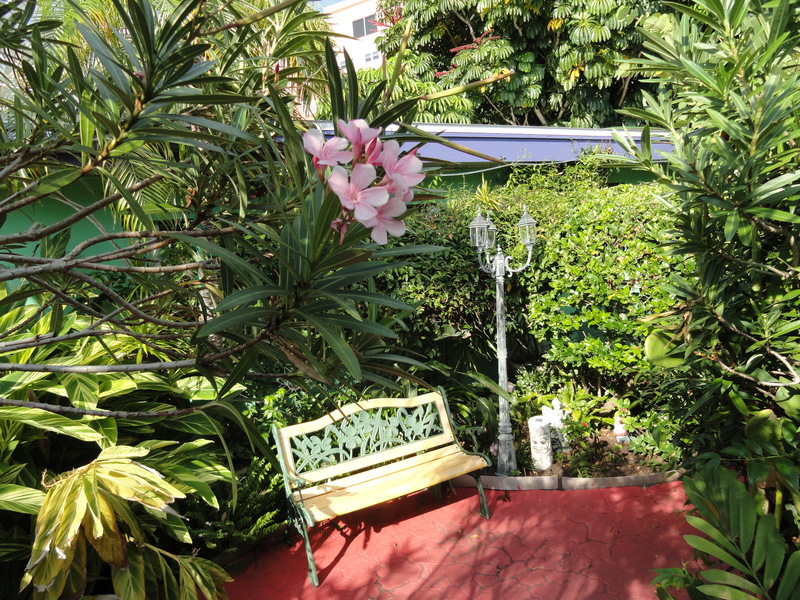 Enjoy your morning cuppa on your private patio. 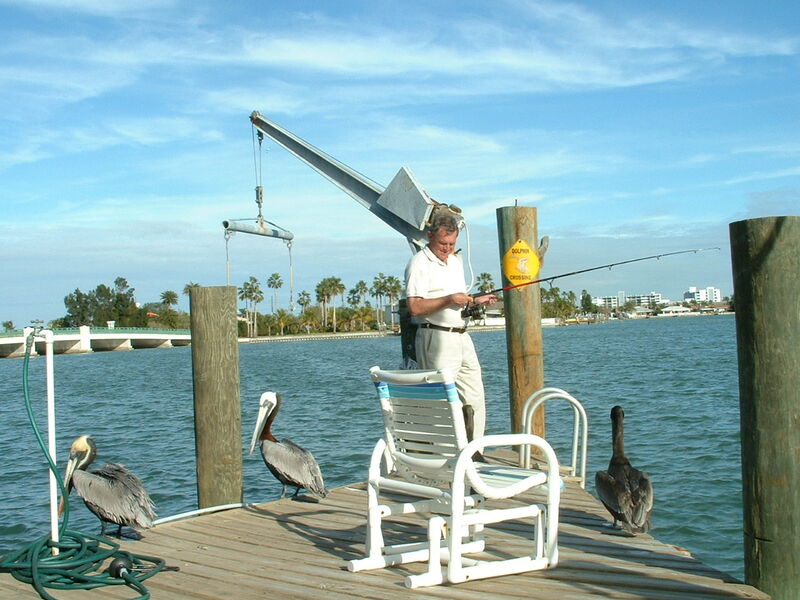 Fish in the morning from our fishing dock, or just laze pool side and enjoy the wide bay and look for dolphins! A favorite pastime of all our guests. The beach entrance is a short 5 minute walk or about 2 blocks. 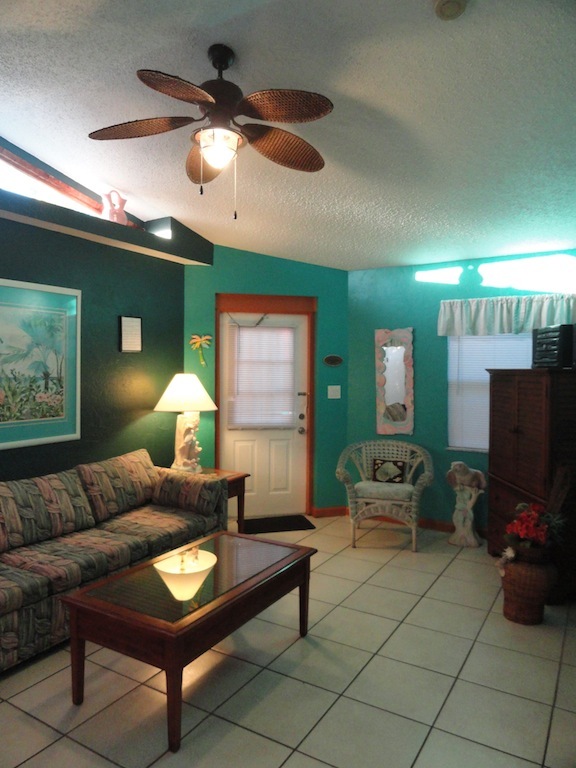 Privacy, Peace and Quiet are all yours and make for a relaxing vacation getaway. In the afternoon walk to the shops and dine in one of the many dining options close by. 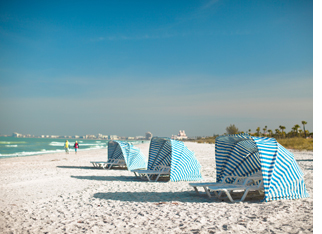 Do the tourist thing in the afternoon, our fabulous white powder beaches are a short walk and you will be amazed at our award winning beaches - Rated some of the Best Beaches in the USA! 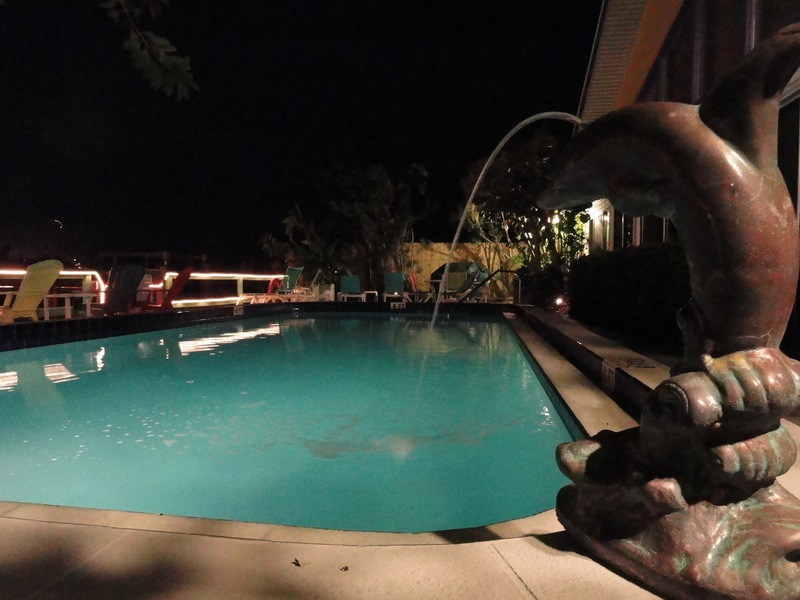 The heated pool has a sunny patio and a dock overlooking the water where the Bay meets the Gulf! such as herons, egrets and pelicans. 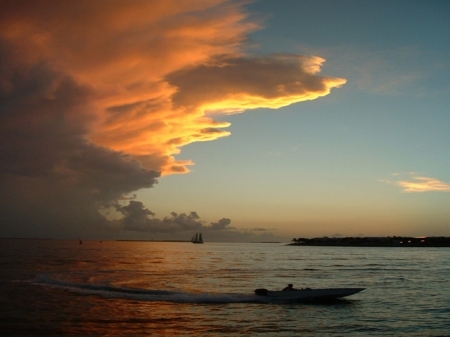 Dolphins swim by daily and you may see an occasional manatee! The two bedroom condominium sleeps six. 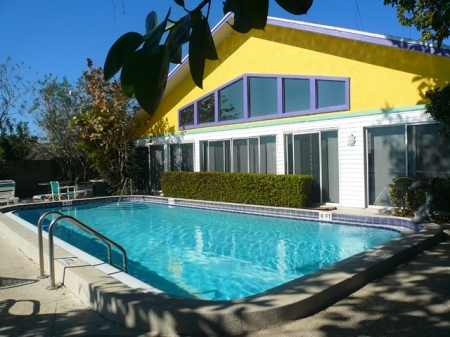 The condominiums are clean, updated, tiled and painted and preserve the historic 50's and 60's charm of a bygone Florida era. 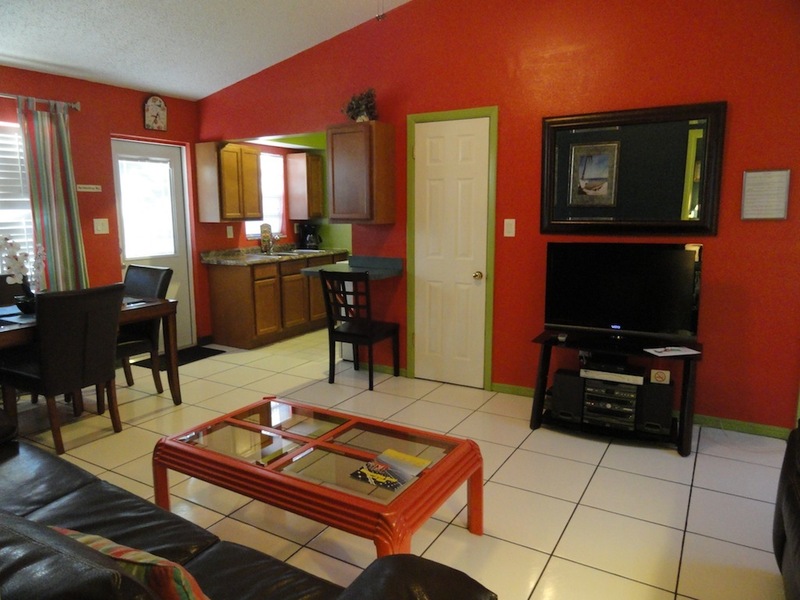 of vibrant colors and tiled floors trimmed in contrasting colors. central courtyard with fountains and park benches. * Upgraded genuine, luxurious feather beds for your comfort. * Queen + 2 twin Beds in Bedroom and Sleeper Sofa in the living room. and the one bedrooms have a queen + a sleeper sofa. * Fully Tiled, clean and updated. 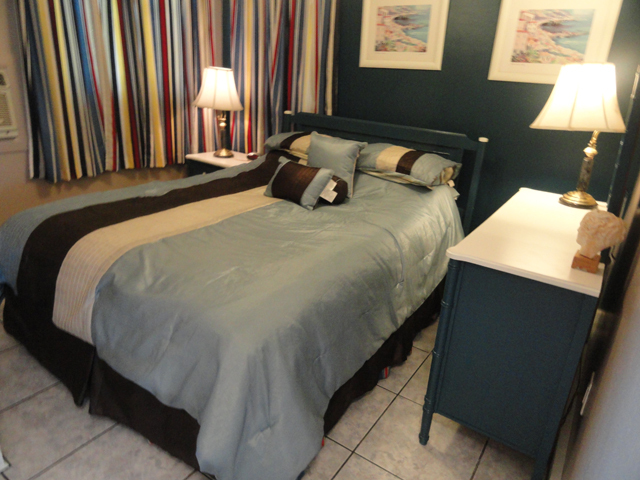 * Linens, bedding, dinnerware and cookware included. * One block to shops, dining, supermarket, banks and Bars. * Short walk from the Bay to the beach entrance. 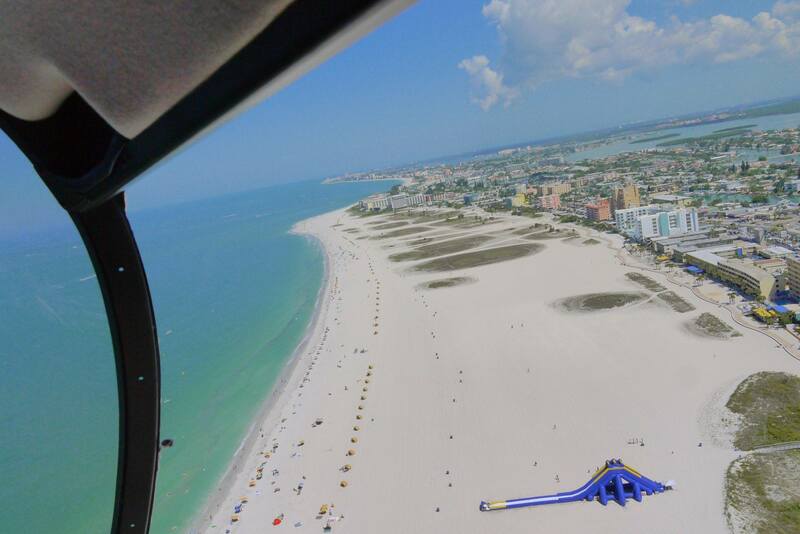 * 15 minutes to Downtown St Petersburg. CONTACT US FOR RATES AS RATES CHANGE BASED ON AVAILABILITY. 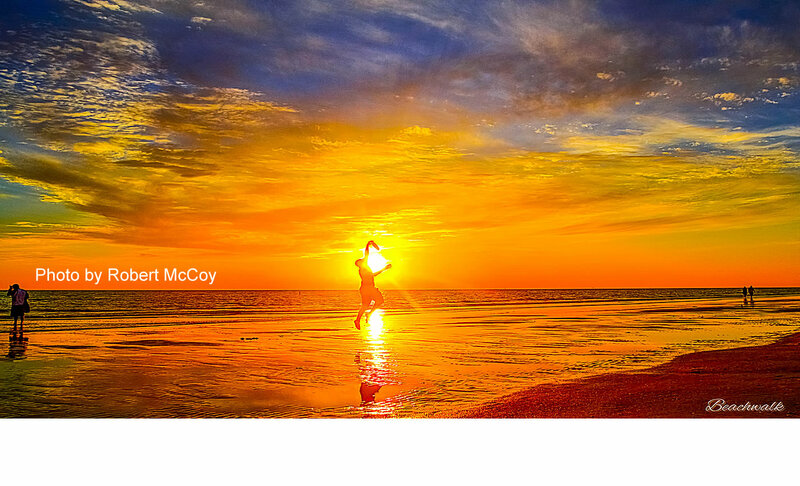 HOLIDAYS AND SEASONAL RATES ARE HIGHER. Holiday weeks and Weekends are higher. A short and easy walk to the beach, shops and entertainment puts all the attractions of Treasure Island on your door step. 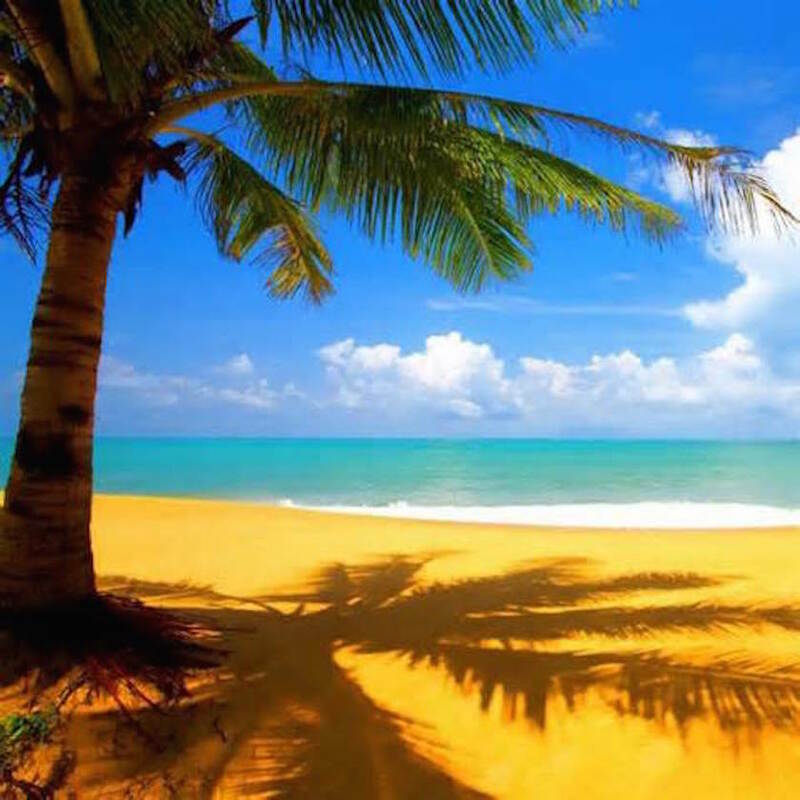 We are on a tropical island in the heart of the Gulf of Mexico. Surrounded by water on all sides. 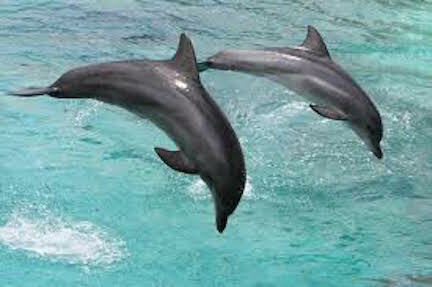 Our Backyard is dolphin alley where dolphins can be seen year round and the Gulf of Mexico meets the bay. Spa and Retreat Facilities: Affordable Beach Condo offers a vacation beach experience with affordable, well appointed condominium rentals. 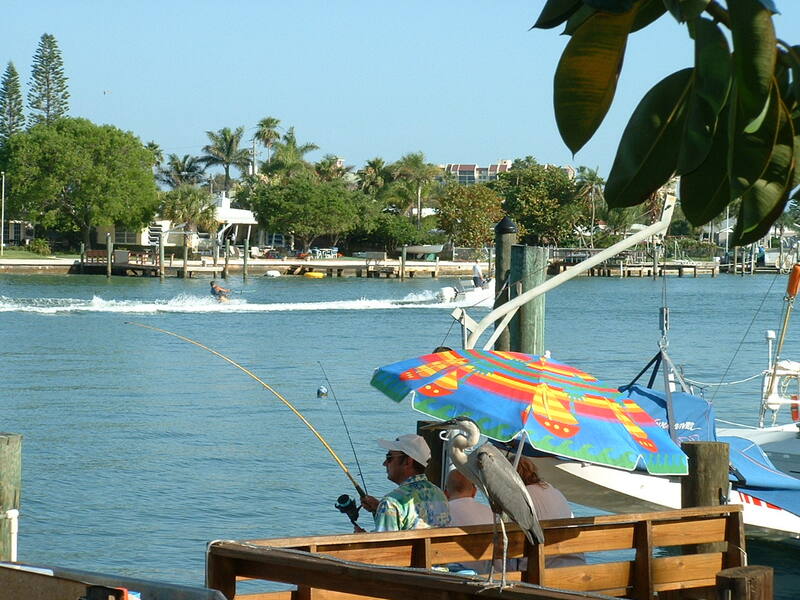 Nearby is downtown S Petersrburg with a host of delightful out door dining options on the water front. St Petersburg is a sophisticated city with a host of fine restaurants, craft brew pubs and sophisticated night life, theater and a vibrant music scene. 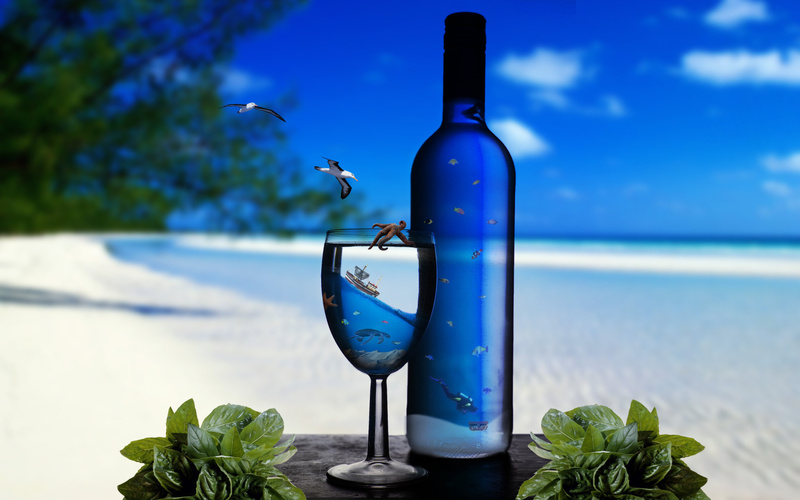 We have many out door craft markets, farmers markets and out door activities such as the Treasure Island Sand Sculpting event each year that draws thousands of visitors. 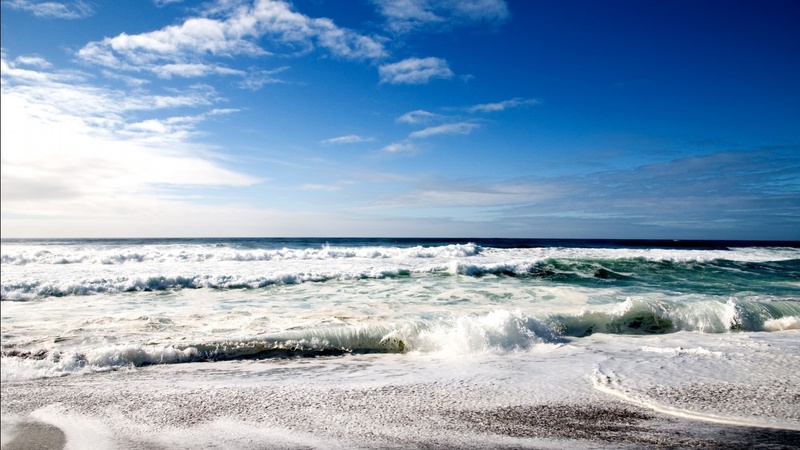 Affordable Beach Condo is a place of refuge and retreat. 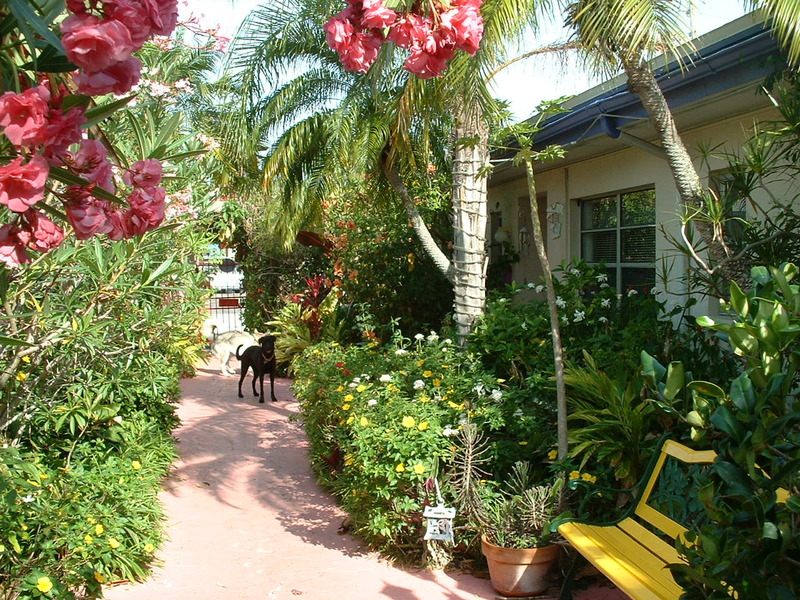 It is a vintage Florida property lovingly preserved and surrounded by lush tropical Florida gardens. 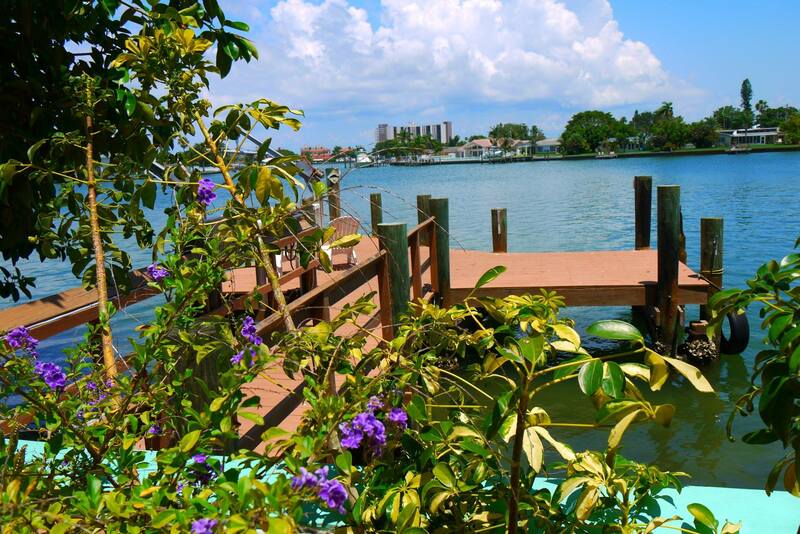 There is a heated pool, fishing dock, and wonderful water side views. 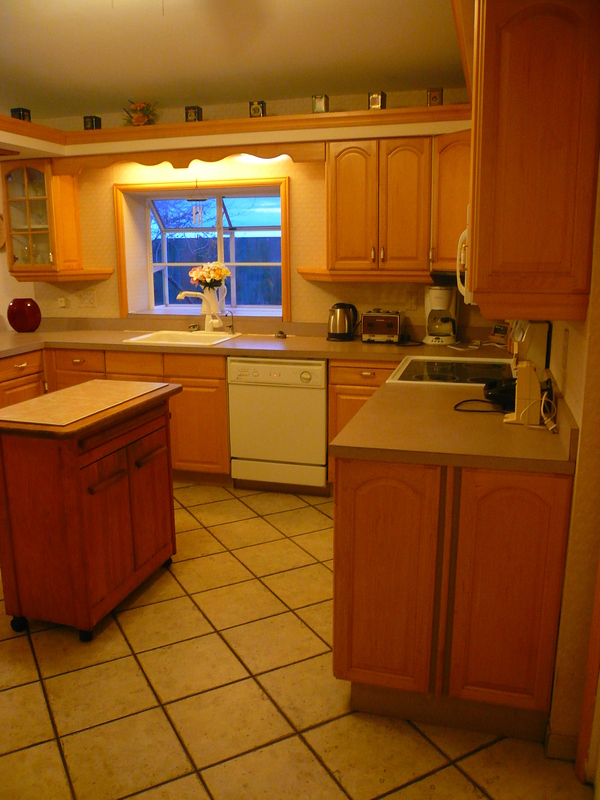 There are full kitchen with four top stove, oven, full size refrigerator, microwave , coffee maker and all mod cons. Large beds are triple sheeted and have luxury non allergenic feather beds for a unique sleep comfort experience. There is a sleeper sofa in the living room. 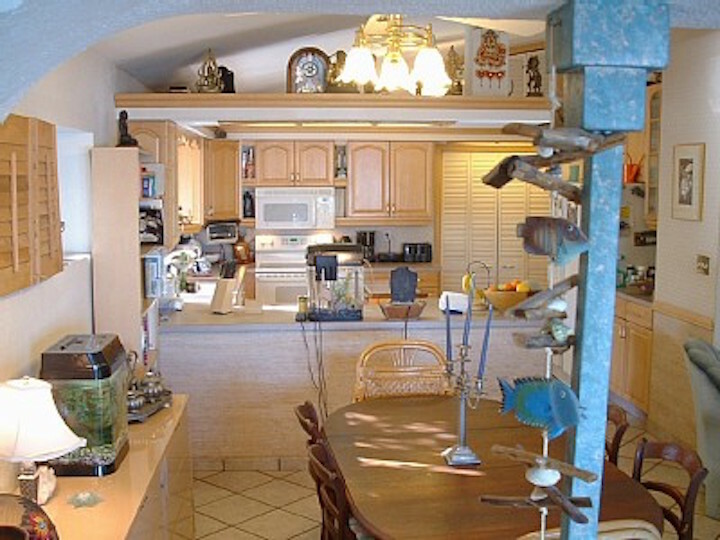 We take care to ensure that the condo is clean, well appointed and updated. Being a Florida heritage property we have carefully maintained the charm and essence of a bygone era. Original tile work in the bathrooms hearkens back to a a time when pastel colors were the fashion. Reminiscent of the days when father (or grand dad) took trips in that old wood paneled station wagon to the undiscovered beaches of Florida. 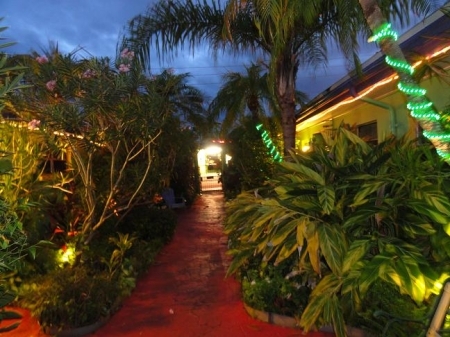 Whispers, is an award winning property that has preserved that little bit of Florida History for posterity. This is a small, intimate hideaway. 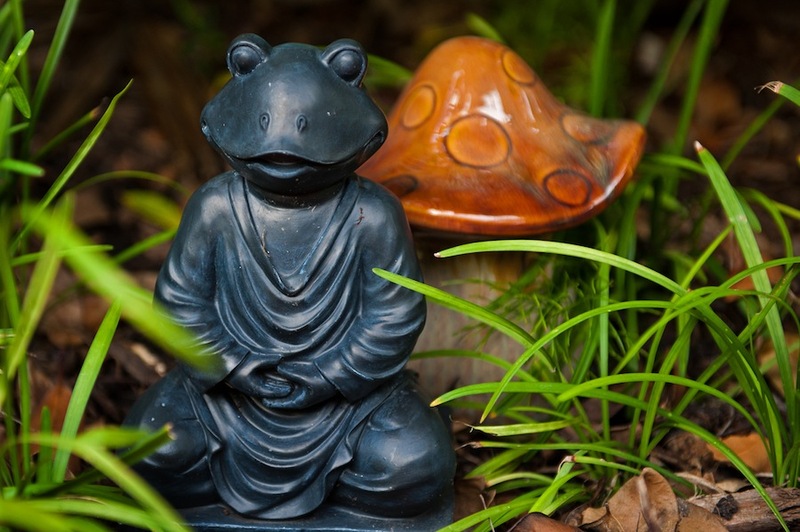 Escape the crowds and find peace, rest and your own home away from home in the sunshine. Heated Pool and New Dock, BBQ Pool Side. Lie in the shade of the largest rubber tree on the island. 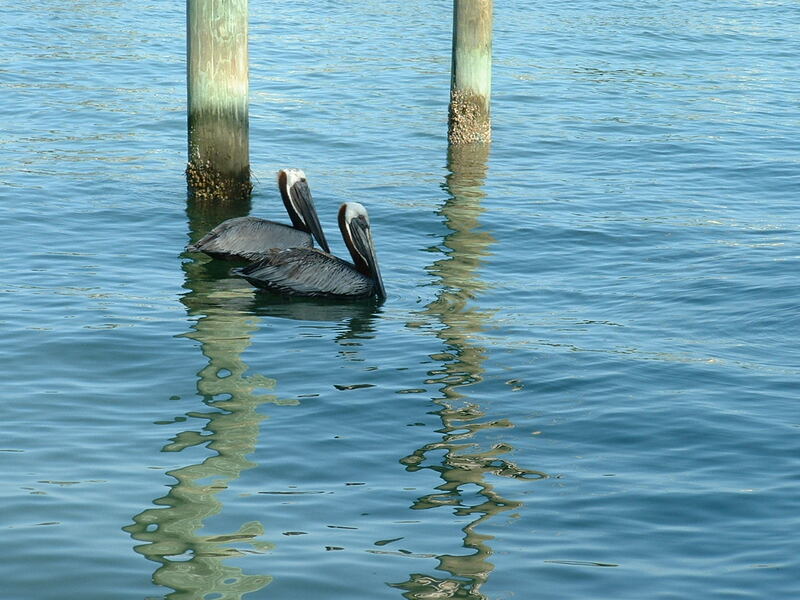 Relax with a book, catch the perfect tan and watch the pelicans and egrets and hundreds of types of birds or the dolphins in the bay. 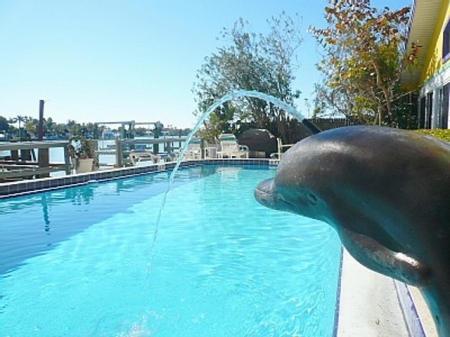 Overlooking a large pristine bay look for dolphins and manatees from our secluded pool patio.